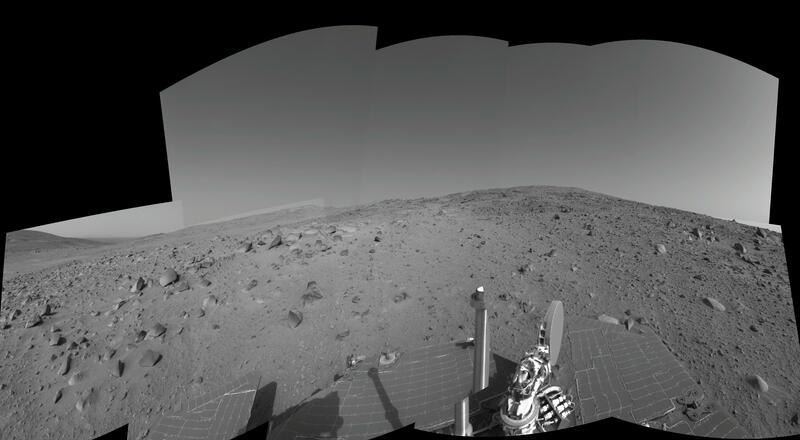 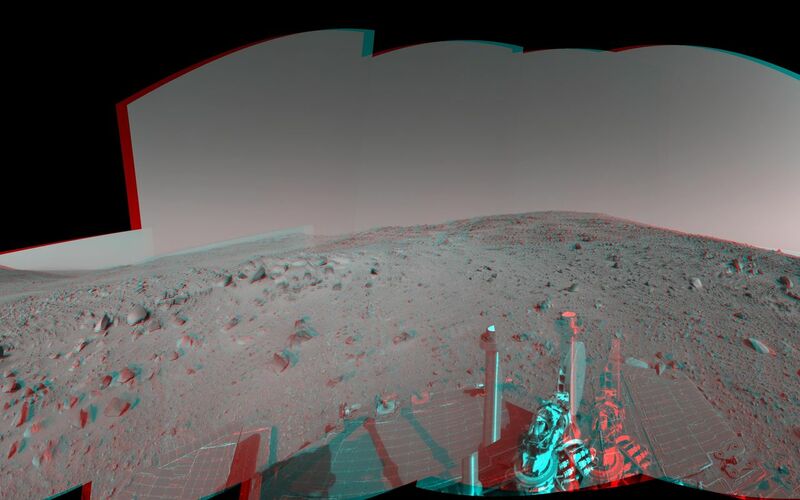 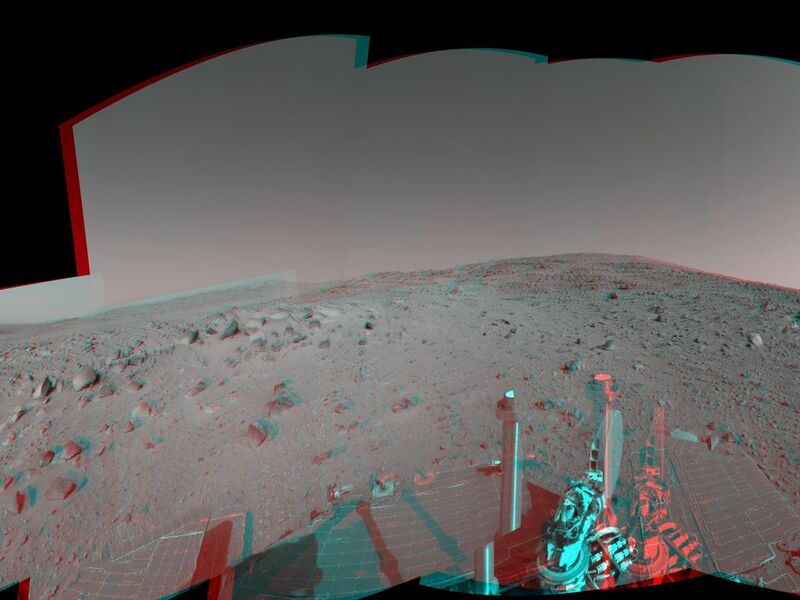 NASA's Mars Exploration Rover Spirit used its navigation camera to capture this view during the rover's 390th martian day, or sol, (Feb. 6, 2005). The rover advanced about 13 meters (43 feet) driving backwards uphill on that sol. The view is uphill toward "Cumberland Ridge" on "Husband Hill." 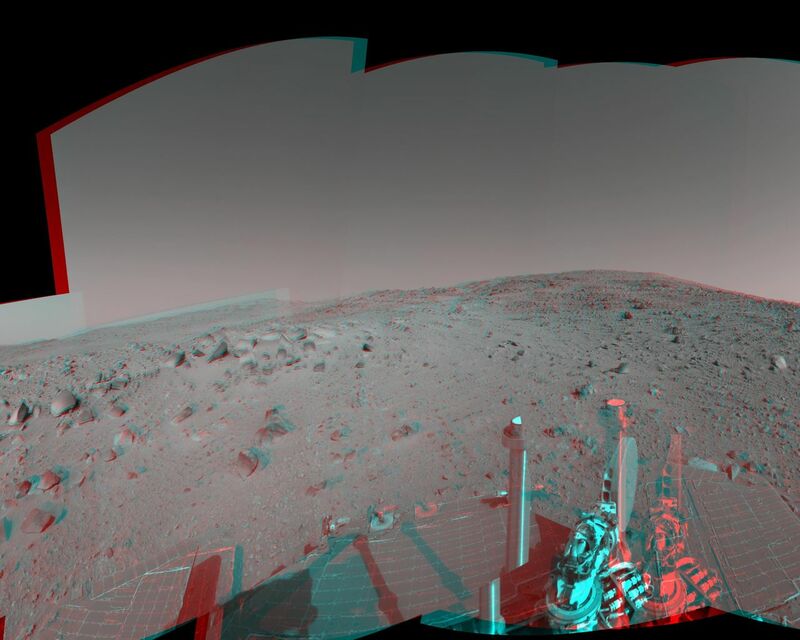 It is presented in a cylindrical projection with geometric seam correction.